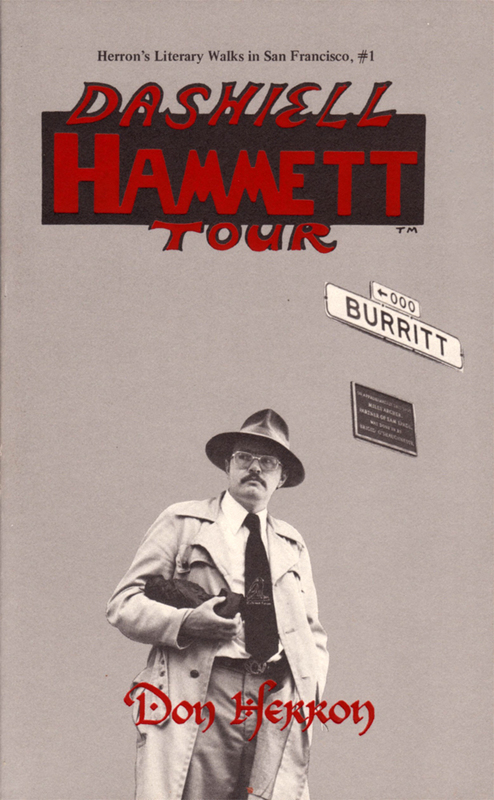 In 1979, barely two years into conducting the Hammett walk, I self-published a slim saddle-stapled chapbook in red wraps — you can’t say much for it except that it was the true first edition, I counted 313 copies when I got them back from the print shop, and sometime in the 1980s a big-time mystery collector offered me $100 for a file copy, but I resisted. 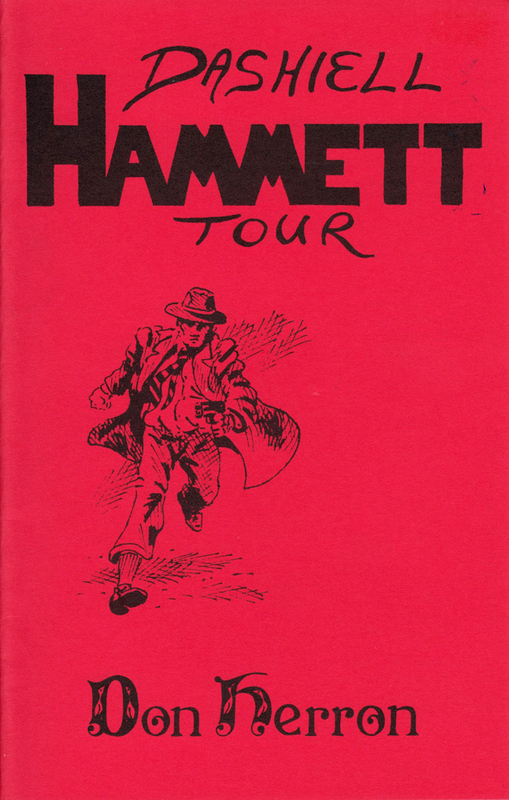 I don’t know that I’ll ever make it to a highly collectable state as a writer, but I’ve got faith in Hammett marginalia. In 1982 I did a bigger, better edition, with photos — 2082 copies in the first print run, in gray wraps. In 1984 I did a reprint of 520 copies, same book but the wraps are red. 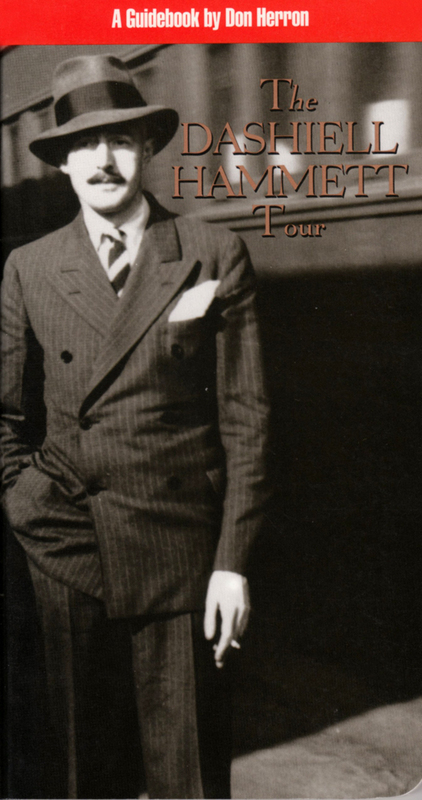 In 1991 City Lights Books released the third edition of the tour book, thoroughly revised, updated — as big a jump up from the preceding edition as the current Vince Emery edition is from the City Lights. With the correction of a few typos, a second City Lights printing appeared in 1994. I was never told the print runs on these, but presume a few thousand copies.